In southern Vermont lies a quiet, friendly town, Chester. The town is known for many things, it boasts of two historical districts and three villages as well as zero stoplights! Its location is idyllic, nestled on the eastern slopes of the Green Mountains in the heart of Okemo Valley, the well-known ski and year round cool resort for all. It is also known for the number of bed and breakfasts that dot the village streets and countryside. The Chester Vermont Innkeepers Association lists 13 properties totaling 125 rooms. In days of yore travelers would journey by stagecoach along the Green Mountain Turnpike that stretched between Boston and Montreal. Chester was a major stop for many a weary, hungry and thirsty traveler. Like many towns and villages in New England, Chester had an Inn and tavern that became the anchor of the Main street business district and it still stands as vibrant and welcoming as it did in those early days. Going back to the article about Norman T. Simpson from 1982 featured in my previous blog, I quote the author; “It was near dinner time. The fire crackled and flames leaped high in the brick fireplace in the Inn. Guests and townspeople came in from the cold winter night, and stood in front of the blazing fire for a few moments before going into the formal dining room or the more rustic tavern.” This scenario has been played out numerous times in country inns everywhere, such a welcoming vision. 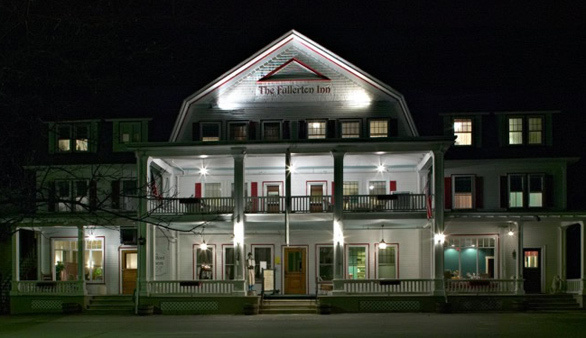 This Chester Vermont Inn with its lantern shining brightly is the gathering place for locals and travelers from away who join together around the constant welcoming hearth. The Inn features fine yet casual dining and tavern fare and has facilities for meetings and events. Yes there may be a number of restaurants and watering holes throughout the region but being the anchor, innkeepers of the Inn will always have that strong standing in the community. It is a great place to be. The lodging has been recently refurbished and rounds out the total picture. 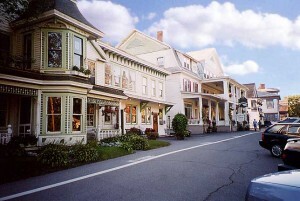 The B&B Team is proud to represent this quintessential Country Inn in Chester, Vermont. Norman, in his search for country inns always looked for inns with a “distinctive personality, integrity, pride and dedicated inn keeping.” If you as an aspiring innkeeper are also searching for these qualities in a country inn or bed and breakfast we can help guide you through your search. 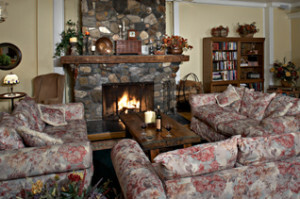 The Okemo Valley Country Inn we are offering for sale is a prime example of the kind of Inn Mr. Simpson visited and recommended in his many travel books. The B&B Team invites you to read, learn and be inspired and join us in one of our ‘Better Way to Learn Innkeeping’ Seminars. I think Mr. Simpson would concur. This entry was posted on Wednesday, January 16th, 2013 at 10:05 pm	and is filed under Inns for Sale. You can follow any responses to this entry through the RSS 2.0 feed. Both comments and pings are currently closed. One of the best B&B’s I have gone to this date!